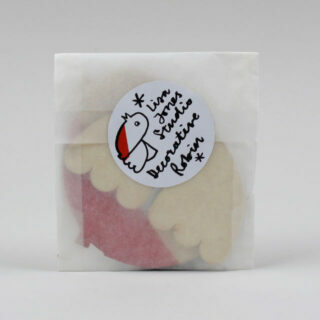 A festive special from Lisa Jones Studio – another product to sit alongside their range of cards and giftwrap. 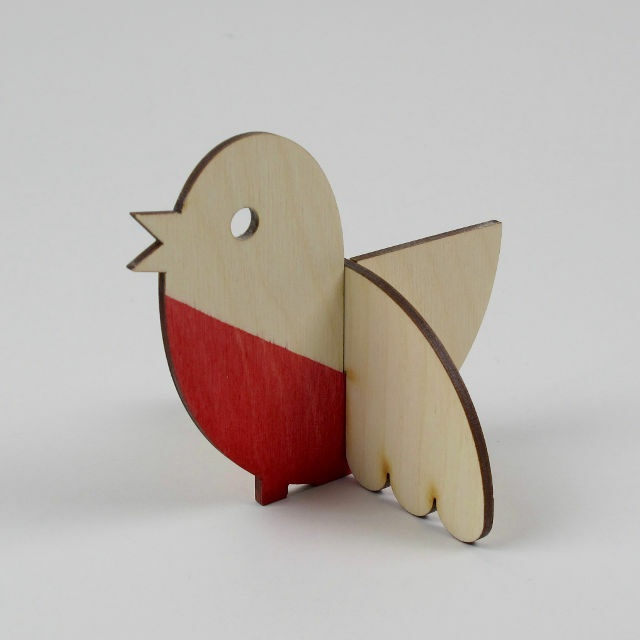 This plywood robin comes in two pieces for self-assembly – if the words self-assembly strike fear in the heart and induce regressive rocking back and forth with the memory of That Billy Bookcase then fear not; in this case self assembly is part of the pleasure. 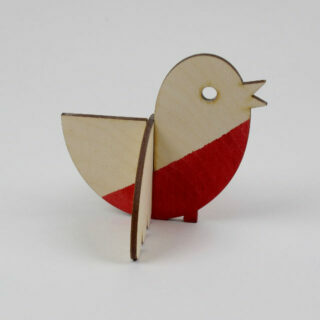 You’re left with a chirpy robin mid-song who will sit happily on a mantelpiece, desk or shelves. The pieces come in an opaque envelope. This robin would make an excellent Secret Santa candidate.